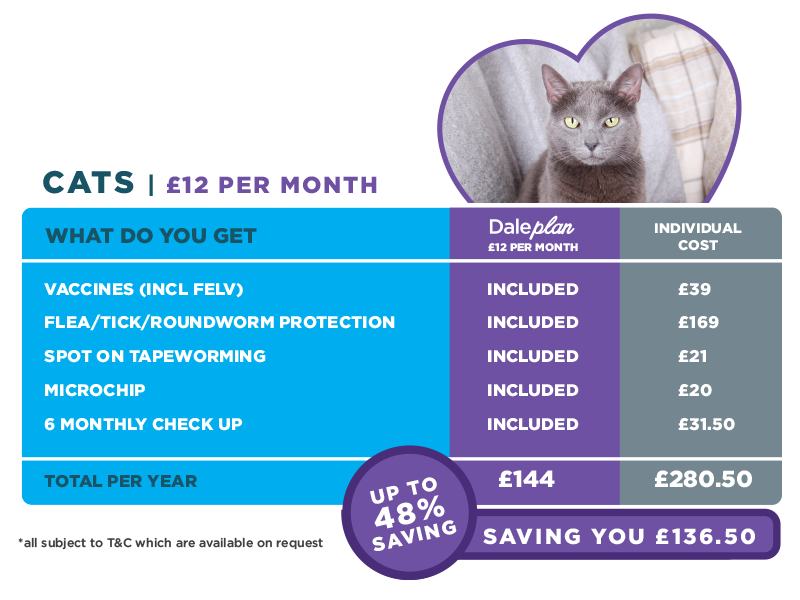 Here at Daleside we love to see healthy pets – so we want to help you keep them well. 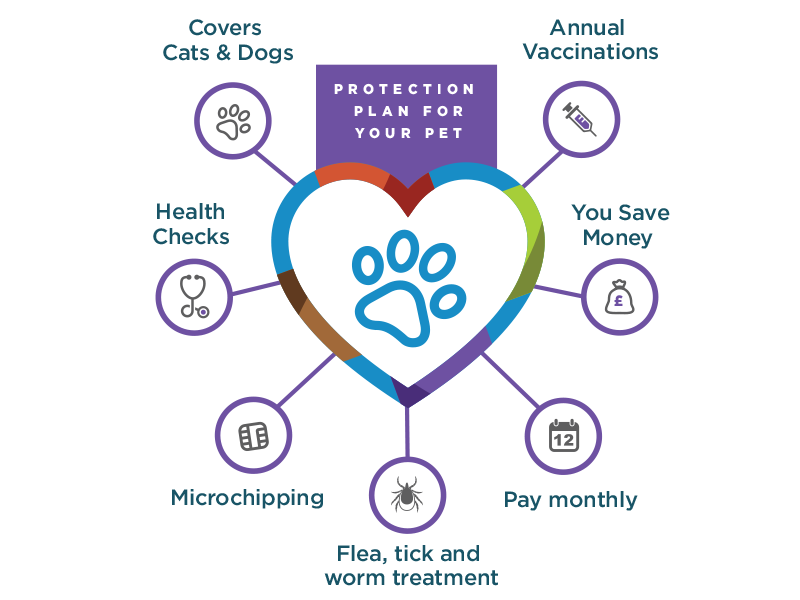 With our Protect Your Pet Club we can ensure they are getting the best possible preventative health care products whilst helping you by spreading the cost. 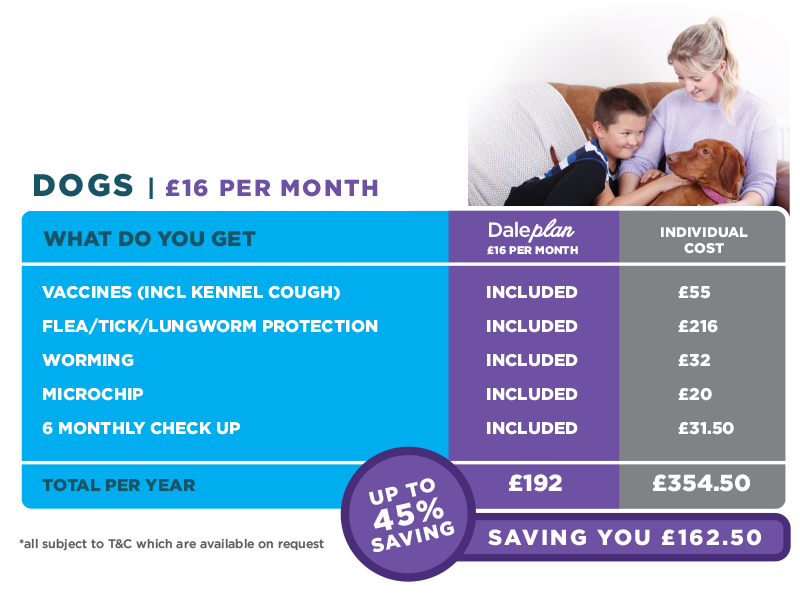 Our protection plan includes things others don’t; all vaccinations including Kennel cough (for dogs), Flea, Tick and Lungworm cover as standard – all essential to ensure your pets are protected the best they can be. As one of the few remaining independent vets in the area (and the only one in Wrexham), we’ve set up and run this plan ourselves so we have the freedom to choose the products we would use on our own pets – no corporate ties or high administration fees here! Not only does it make it easier for you to budget but you can save almost 50%. See our savings table below which is based on a large breed adult dog and average size cat. It’s important to remember that our plan is for preventative healthcare only – so please ensure that you have pet insurance or other funds available for accidents and illness that may occur. 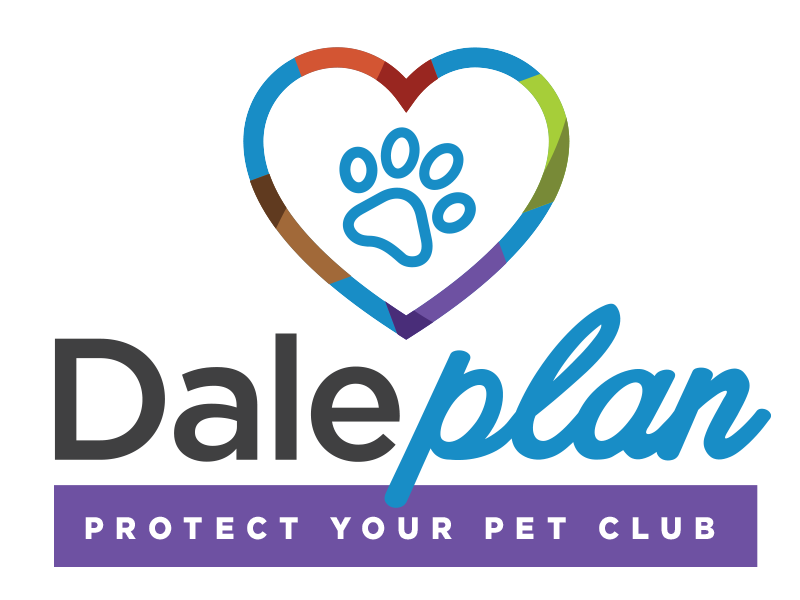 To help with this all puppies and kittens registering on our Daleplan will get 4 weeks FREE insurance with PetPlan whilst you sort out their long term cover and of course we can help advise on what to look out for in pet insurance if that helps. Saving you £136.50 a year thats up to 48% saving. Saving you £162.50 a year thats up to 45% saving. 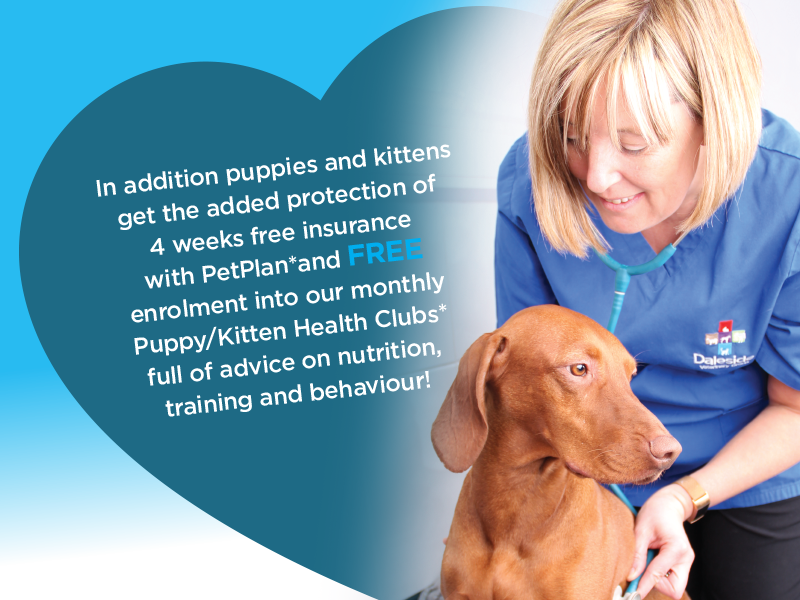 Puppies and Kittens registering on the plan will also get FREE membership of our Puppy & Kitten Health Clubs which is a monthly weigh in and advice service run by our team of qualified veterinary nurses. These very popular clubs are great to acclimatise your new arrival to the vets meaning they’re less afraid when they do need to come to see us in later life but also give you peace of mind that you have full access to reliable hints and tips on nutrition, training and behaviour. With 12 easy monthly payments per year, there’s no joining fee and you can sign up online, over the phone or at reception any time you call in to see us. It really is the simplest and best value way to protect your pet! 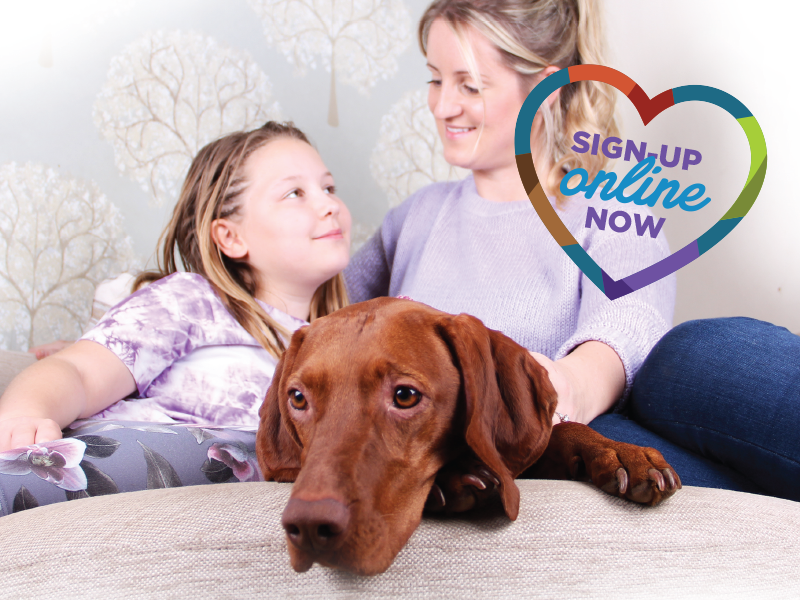 To sign up online please click the button below it’s quick and easy and your plan will start on the date of your first payment, or if you sign up at the practice you will pay your first month there and then and you can start using your benefits straight away! If you want to book an appointment with one of our nurses to discuss the plan further please click here and choose Daleplan as your appointment type.